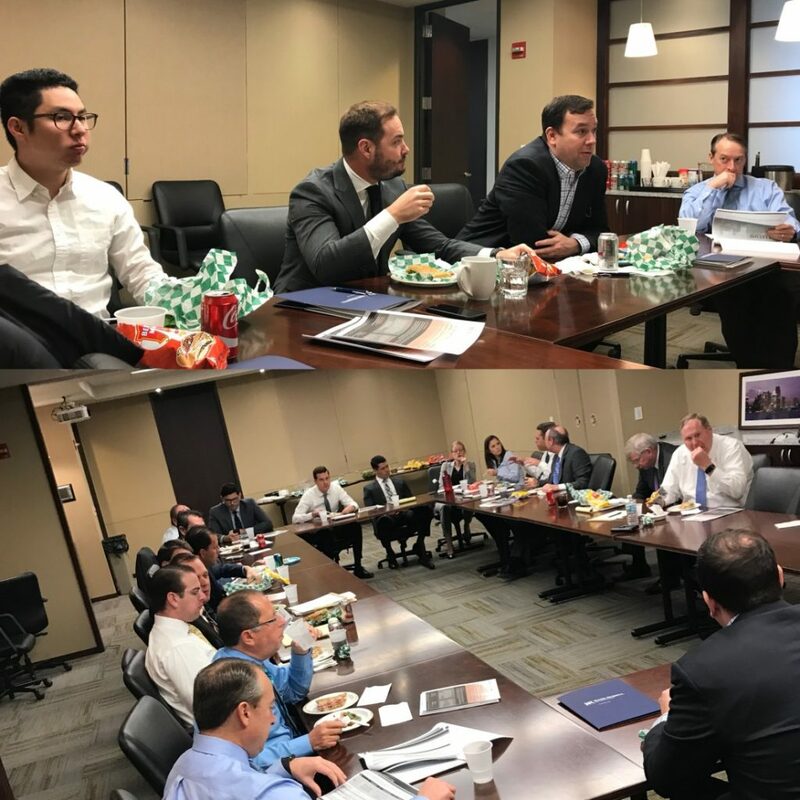 Kerr Russell hosted Royal Oak’s Boulevard Investment Banking at our Detroit office for a lunch-and-learn event on Thursday, November 30. From Boulevard’s website: “Boulevard is a boutique, investment banking and private investment firm focused on working with owners, operators, and businesses active in the middle market. In partnering with Boulevard, our clients and portfolio investments gain access to capital, opportunities, networks and transactional resources that have historically been reserved for large companies. Our professional experiences as entrepreneurs, operators, investors and deal professionals enable us to rapidly understand the goals of owners, operators and businesses as well as develop effective strategic plans and efficiently utilize transactional tactics to achieve those goals.” Mac Garlach (Managing Director) Marco Eadie (Managing Director), and Calvin Fong (Analyst) attended from Boulevard.